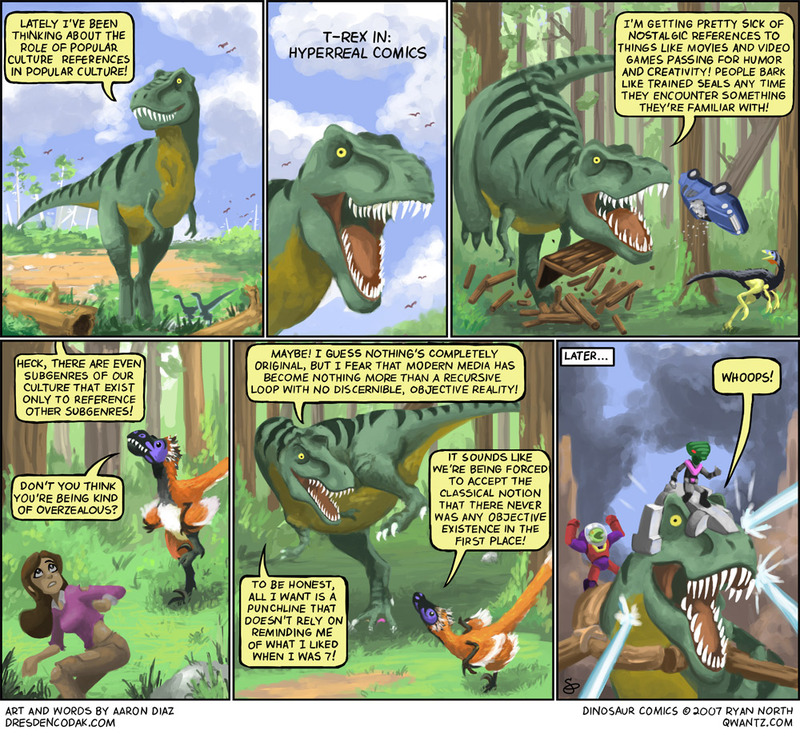 Dinosaur Comics - May 17th, 2007 - awesome fun times! guest week 2007: aaron diaz of dresdencodak.com! May 17th, 2007: CATS AND KITTENS: You are probably familiar with the great and long-running Songfight, in which many Talented Artists are given a theme, and have a week to compose a song, and then at the end of the week we all get to hear the songs and vote on who wins the fight! The theme for next week is We Were Not Meant To Be, and songs are due by Tuesday 05/22/07 at 9:59am PDT. I am really looking forward to hearing the results! You should totally compose a song.